We deliver innovative Spatial and Risk Products for a range of Financial, Commercial and Bespoke solutions. Our many years of experience in GIS Data building, Spatial Modelling, Risk Management and Quantitative finance enable us to combine our expertise with global insights and scale. We deliver solutions in a variety of mediums, including Web and Mobile APIs. The enablement of solutions in a spatial context helps us to address client’s business matters across operations and finance. Our access to partner spatial datasets enables bespoke solutions like bulk-geocoding of consumer data, demographic profile analysis, traffic profiles, customer track-and –trace, economic definition analysis and more. We have deep experience in Financial and non-Financial risk management, including pricing and decision support through analytics. With our strong actuarial and spatial skills we offer differentiated solutions across sectors. In a connected world filled with ambiguity and an overload of data, the right skills, data modelling and spatial awareness allow you to discover new metrics, trends and control mechanisms. Riskscape is ready to partner you to help you optimise your business and remain relevant in a dynamic business environment. 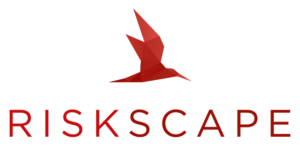 Riskscape staff and management have a combined experience in GIS, actuarial sciences and artificial intelligence. Our teams have impressive credentials in various domains, giving us access to not only leading thinkers in their various disciplines, but a synergistic niche combination of skills which is unique in most markets. Our Team consists of Actuaries, GIS Professionals, Statisticians, Mathematicians and Engineers. The Riskscape team builds solutions based on the intelligent use of geographical information, and spatial and other data. Our solutions maximizes value for our customers by applying actuarial, mathematical, and machine learning sciences to our unique spatial information. This provides new insights in the field of geographical data analysis, where additional data obtained from various sources gives us the ability to bring innovative new solutions to the market. Our experience and knowledge of local demographics across Africa, have helped us to create new solutions in the Know-Your-Customer domain which enables access to financial and mobile services to even the most rural customers. Riskscape believes that our solutions serve as enablers to navigate the many regulatory compliance issues related to Banking and Mobile Operator environments, which are often obstacles to innovation in these and other sectors. Our deep actuarial experience range from Enterprise Risk Management to Financial and non-Financial risk management, including pricing and decision support through analytics. Combining this experience with our GIS skill set, solutions for Big Data environments can effectively be offered. More organisations are understanding the importance of geo-tagged data and the need for tools that can successfully combine location data with business metrics to provide intelligent outputs that are beyond a simple map. The enablement of solutions in a spatial environment helps us to address important matters at the intersection of risk and finance, always grounded in a spatial context. Specialists in their field, our unique team brings innovation and data to life. Andries is a qualified actuary with extensive 21 years of experience in Financial Risk Management and consulting. He has headed the actuarial and IT department of a life insurer, has been rated a top 5 equity analyst by a leading financial publication, and worked in the UK in life insurance in his earlier career. Andries spent 10 years in actuarial and financial risk consulting. He is a founding partner of Riskscape. Professionally Andries was one of a few actuaries in South Africa who received the coveted Certified Enterprise Risk Actuary qualification based on experience and led a task team for the ASSA on the role of the Chief Risk Officer. Heinrich, a qualified engineer, has a background in corporate management within engineering and technology related ventures. As one of Georigin’s, a South African mapping and navigation company, founding partners, Heinrich served as Technical Director at Georigin and MapIT for nearly 10 years playing a key role in developing a world-class digital mapping and navigation enterprise. Georigin was acquired later partly by Tom Tom BV. Heinrich was responsible for geospatial data production for Africa; his division developed the first auto routable dataset for Sub-Saharan Africa, the expansion of Georigin’s, later TomTom, spatial data coverage into the rest of Africa and the integration of spatial data from partners and suppliers from different African Countries. More recently Heinrich joined Riskscape, where he is working to develop unique rich-multi-layered-dynamic data – based on spatial data, actuarial and big data modelling. John, a qualified town planner, has more than 20 years’ experience in Mapping and Spatial Solution Development. John co-founded and successfully built and managed a number of large corporates in South Africa, MapIT, Georigin and Tele Atlas Africa, the latter being purchased by TomTom. John was primary responsible for managing and developing spatial products for local and international clients: TomTom, NGI, Garmin, various Mobile Operators, various Telematics Corporates etc. John has a particular interest in the development of spatial and analytical solutions; Navigable map product ranges for Garmin and TomTom, Telecommunication specific RF datasets for Mobile Operators etc. John is currently serving as Director and BOD member of both Riskscape and Tom Tom Africa. Riskscape builds solutions based on the intelligent use of geographical information. We combine strong actuarial skills with data sources and location based information, either derived from field work, cellular networks and GPS, or a combination of all, to bring innovative solution to the market. local expertise with global data and insights. RISKMETRIX is a niche company focused on delivering client centric statistical solutions. We specialize in development of statistical inference metrics for use in decision support, pricing and risk measurement. RISKMETRIX enables improvement in data and analytical solutions through the embedment of various controls and automated assurance during the processing and management of analytical and data processes. CAGR Asset Management is a newly founded boutique asset management company that offers P2P investments and structured institutional investment products. Our platform offers finance against orders and invoices to ease the cash flow constraints faced by SMMEs. The loans are completely secured and repayable from identifiable cash flows of large corporate South Africa. We exploit this feature and by using our internally developed credit rating algorithms, we are able to map the riskiness of SMME loans to rating agency scales. We believe that this will breach the communication barrier around the riskiness of SMME loans. Further benefit of a P2P approach is that it allows for risk sharing, transparent investment process, and since its embedded on a web platform, it is able to reach a much broader pools of investors and SMMEs. Our investors are indemnified against fraud but are exposed and rewarded for the credit risk exposure. We employ our strong quantitative background and investments knowledge to offer quantitatively driven investment strategies targeted at institutional investors. Our investment process has a preference towards the use of derivatives as they allow for efficient capital allocation. At the same time, we are a risk averse business which is thanks to the extensive time spent in risk management during our careers. CRS adds significantly to Riskscape’s ability to disrupt dated and legacy business models and systems, and enhances Riskscape’s ability to provide fungible solutions to its clients.